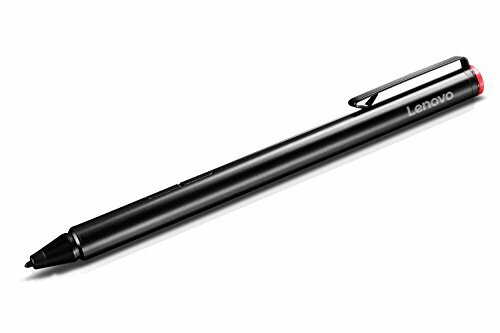 I first wrote about Lenovo's Wacom Active ES pen a year ago, when it sported the generic Active Capacitive Pen moniker. That pen suffered from a very short tip and shallow hover distance. Earlier this year, when I reviewed a revised Thinkpad Yoga 14 and the affordable Ideapad Miix 700, I ordered the pen known as the Thinkpad Pen Pro, not realizing it had the same part number as the Active Capacitive Pen. Fortunately, although the pens are physically indistinguishable, the newer pen had a much wider hover distance and a tip that protruded slightly farther out of the pen shaft. This suggested that the hardware had been revised in the intervening months but Lenovo had chosen to keep the part number, 4X80H34887, the same. Within the last month, Lenovo updated its product page for the Thinkpad Pen Pro and lists the following compatible devices: ThinkPad X1 tablet, ThinkPad P50, ThinkPad P70, ThinkPad Yoga 460, ThinkPad P40, ThinkPad Yoga 260, ThinkPad X1 Yoga, ThinkPad S1 Yoga 12, ThinkPad Yoga 14, ThinkPad Yoga 15, ThinkPad 11e, ThinkPad 10 and ThinkPad Helix. Notice that there is no Miix 700 listed nor is there mention of Lenovo's newest penabled device, the Yoga 900s. Now there is a new product listing for the Lenovo Active Pen for Miix 700 and Yoga 900s, part number GX80K32882! I can't speak for the 900s which I haven't tested yet, but I know for a fact that the Thinkpad Pen Pro works perfectly on the Miix 700, so I had to order one of these new beasts to find out what the difference was. Perhaps the holder had been modified to better fit the Ideapad? Fortunately, I found the new Active Pen on Amazon for a few bucks less than the $40 list. Of course I had to double check the part number because the listing refers to it as the Active Capacitive Pen from a year ago! Perhaps because the Miix and 900s are consumer devices, the new pen is more attractively packaged than my previous Thinkpad pens, which arrived in plain cardboard boxes. I suspect you'll see this new pen showing up on retail shelves soon. A check of the label indicates the product was freshly manufactured in June, 2016. 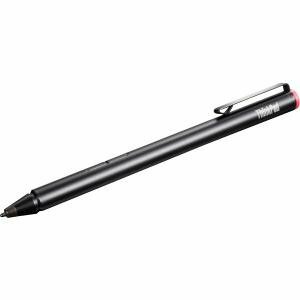 In addition to the pen holder and AAAA battery that is standard with the Thinkpad Pen Pro, the new Active Pen also includes an extractor ring and three replacement tips. This is a welcome sight in Wacom AES pens. A Lenovo logo is stamped on the pen in place of a Thinkpad logo. That is the extent of the physical differences between the two products. Despite the compatibility lists on the Lenovo website, the pens are absolutely interchangeable and perform equally well. (I still slightly prefer the Wacom Bamboo Smart stylus and Toshiba DynaPad Trupen). With its replacement tips, the Active Pen is a much better buy than the Thinkpad Pen Pro. As for the incorrect compatibility information on the Lenovo website, I suppose they don't want to blur the lines between their brands, but they'll have to do a better job than a different product stamp on the barrel. Sadly, OEMs continue to train consumers to distrust the online product information, increasing the likelihood of returns. On the bright side, the obfuscation means that there is still a strong reason for this site to exist! The label on the end of the box confirms that this pen was manufactured in June, 2016. Which of these things is not like the other? The new Active Pen (top) sports a Lenovo logo instead of the Thinkpad brand, but otherwise is indistinguishable.